What do all of these news reports have in common? They all show the impact the state of a country’s economy can have on its people. Just as the media can influence the way we act, dress, and even think; the economy can affect what we choose to buy, what we look for in a job, and what our lifestyle will be. This is essentially what my research project will be about. Hi! My name is Julia Yeung and I will be conducting research along with Professor Morreale on the impact of the Great Recession on middle class America. The Great Recession, which is also referred to as the Late 2000s Recession began in December 2007 and had a sharp downturn in September 2008. By definition of a recession, it is considered that the recession has ended in the summer of 2009. A recent poll has found that many Americans still believe that the U.S. is in a recession. With the unemployment rate standing at around 9.1%, many Americans still find it difficult to find jobs, despite the news that the economy has made a modest recovery and certain companies have increased hiring. My research will focus on the extent of the impact the Great Recession has on the middle class’ family income, family stability, and lifestyle. It will also investigate the duration of the impact of unemployment and the differential impact on educational status. Personally, I find it very interesting to learn and understand more about the “inner-workings” of the recession. I have at first-hand seen the negative impact the recession had on a few of my family members and it has encouraged me to see how the recession impacted others, especially the middle-class as a whole. I will also compare this recession with others that we had experienced in the past and see how does this one differ from others. I hope you guys will enjoy reading about our findings and be able to gain more of an understanding of what is happening to our country today. It’s spring break, 2012. Let’s imagine that you’ve been granted an all-inclusive week-long stay at a white, sandy beach in some far-off exotic land. Hours before your departure, you run through your mental checklist one last time. Passport? Check. Money? Check. Bathing suit, hat, and sun cream? Check, check, check. Awareness of sustainable tourism practices and respect for local cultures and communities? Huh? Alright, maybe that last one isn’t so likely. But in an ideal world, aren’t these things we would always keep in mind before flying off into the sunset? As members of the international community of Pace University and the greater one of New York City, many of us have traveled abroad at one time or another, perhaps to visit family or to study at a foreign university. Although the excitement of experiencing a foreign country often overshadows anything else, it is important to keep in mind the impact our travels have on communities and the environment. In practice, sustainable tourism fosters an understanding not only of diverse cultures from all parts of the globe, but also of the precious ecosystems upon which these travel destinations are founded. As a sector that generates billions of dollars in annual revenue, the tourism industry is a tremendous force, one that can be harnessed to preserve the integrity of local cultures and environments. Some organizations have already recognized the industry’s potential to make an impact. For instance, The International Task Force on Sustainable Tourism Development (ITF-STD) has already implemented a number of programs and tools to help governments, organizations, and individuals develop better sustainable tourism practices. 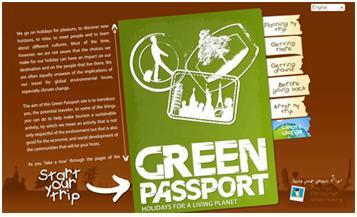 A screen shot of “Green Passport,” an internet campaign developed by ITF-STD for young travelers; aims at raising awareness of their potential to contribute to sustainable development by making responsible choices. Our research aims at gauging the level of students’ knowledge about sustainable tourism and sustainable practices through the use of a survey. From the results, we hope to gain a better understanding of what students know about being a responsible tourist. Eventually, our goal is to present this information to the university so that it might be used to expand the curriculum in the areas of sustainable tourism and sustainability policy in general. So, Fellow Travelers, let’s hear it: how sustainable are YOUR travel practices? There is no question that boys and girls learn differently. Ask any elementary teacher which students struggle the most in literacy and you’ll find that the overwhelming amount of students that face difficulty are boys. This gap has serious implications. Literacy is the basis for almost all learning in school. When a student fails to develop appropriate literacy skills, that student succumbs to a severe disadvantage in education. Not only will grades drop as the literacy skills needed to obtain higher grades become more advanced, but the student will fall into a cycle of failure and self-defeatism which cause the student to give up and the student’s subsequent grades will remain low as others in the class surge ahead. This cycle leads to a plethora of behavioral and developmental issues. I’ve listed some eye opening facts detailing the repercussions of the differences in the ways men and women learn. • Get 70% of D’s and F’s. So, we know there are differences and in the last ten to fifteen years we have begun to understand why these differences exist. In the last decade, breakthroughs in functional magnetic resonance imaging (fMRI) have allowed scientists to closely examine the ways in which boys and girls minds interpret and process language. The findings have shown radical distinctions in the language processing area of the brain. Girls have a more developed inferior frontal gyrus (area involved in word meanings), superior temporal gyrus on both sides of brain (sounds of words) and fusiform gyrus on the left side of the brain (spelling of words and their visual identification). Also, girls’ language abilities are rooted in the auditory/listening areas which translate easily to literacy, where boys’ language abilities are rooted in the visual areas of the brain which translates more easily to visual-spatial skills such as math and orientation [education.com /Ref_Gender_Differences]. In order to gain a more enhanced understanding of the implications of this data, I will be working with Dr. Sister St. John Delany to implement a professional cognitive development service to test and follow student progress throughout the program. We have enlisted the aid of Dr. Mark Sirkin, a developmental psychologist, in order to guide our research in the best direction possible. We have been in contact with representatives from some of the best available programs to fit our needs and have found a group of students to utilize in our experiment. We simply need to work out a definite hypothesis after we find an acceptable program. In addition to finding a program and solidifying the logistics of the experiment, we have been reading through numerous articles to grow our schemas on the topic. Hopefully through our research we can begin to better understand how to narrow the gap. Last year when I met with Dr. Griffin for the first time to discuss our research project, we had trouble narrowing down the focus of our research. The field of rejection is so broad when applied to psychology, that we spent our first few meetings discussing all the different ways it affects human thought and behavior. But before long we discovered something interesting that hasn’t been studied very closely in the past. Dr. Griffin and I have been researching the connections between rejection sensitivity (particularly regarding the end of relationships) and the psychological reactions people go through when they experience the death of a loved one. That is, we are looking to see if the reactions from being rejected and the reactions to the death of a loved one are in any way connected. So far, the research has proven exciting, as we have already found several significant connections between the two. For instance, we’ve found significant parallels between the grieving process an individual experiences with death, and the coping process an individual experiences when a relationship ends (specifically with break ups/divorces). We have also been studying the connections between rejection sensitivity and self-esteem. Our hypothesis is that individuals with higher self-esteem may in fact have a harder time dealing with rejection as it can serve as damaging to their idea of themselves as “flawless”. On the other hand, we hypothesize that individuals with lower self-esteem may not be so heavily struck by rejection, as they do not see it as so significant a blow to their self-image (although the internal effects may be dangerous). Likewise, we have looked into the connections between rejection sensitivity and empathy. Our main question here is whether or not the more empathic individual is more sensitive to rejection. However, we are also looking into whether or not a more empathic person may be less likely to act as the rejecter due to their deeper understanding of the other person’s emotions. Our hypothesis for individuals with lower levels of empathy remains that those individuals both deal with rejection and reject others with less internal conflict. In recent weeks, I have been organizing research methods with the assistance of Dr. Griffin. I recently finished organizing our first survey that we will be distributing to various groups within our target demographic. I’ve organized the survey into different sections that will help us determine a person’s specific level of rejection sensitivity, empathy, self-esteem, and methods of grieving (one section regarding death, one regarding relationships). Our research thus far has proven fascinating. In the coming months, we will be examining the data we receive from our surveys and experiments. At that point, we will be able to start getting some concrete answers to our hypotheses; answers that I’m certain will be fascinating. As part of this Pace University undergraduate project, my research focuses on smarter cities and energy, and the role mobiles can play in that area. The first challenge I faced was choosing a starting point in such a wide topic. Dr. Scharff was also unsure of a specific focus and as a result we began with defining the term “environment”. This word which we have heard from as far back as we can remember has more definitions than one could imagine. I have experience in working in the environment. In the past, I was involved in a project at Pace University’s Environmental Center on the Pleasantville Campus. With Angelo Spillo and Jim Eyrings assistance, I built a Native New York Plant garden and received my girl scout Gold Award. After looking at the Pace website, I learned about the University’s concerns for environmental issues through the initiatives of the Sustainability Committee and how this committee projects its perspectives to the Pace community. Seeing that both Jim and Angelo were on the committee, I contacted them and they invited me to the meeting. Through this experience, I had a better understanding of the various components of the environment including recycling and waste, water and lighting, transportation, dining services, purchasing, green building and landscaping, and energy reduction. Pace University has recently joined the Association for the Advancement of Sustainability in Higher Education (AASHE) with universities across the country in the race to become a greener community. This web site permits interested individuals to consult the involvement of educational institutions in becoming greener; each institutions receives either a bronze, silver, or gold rating based on categories described above. Our university currently has a bronze rating and is working towards the gold within the next year! Smarter cities and energy is an important theme for IBM and one of their current mottos. I explored the web site of IBM in this research. IBM Smarter Planet comes to you event took place at Pace on October 11th. Pace University was one of the 39 universities chosen globally by IBM. Social media, generational changes and the increasing pressure for success throughout all industries, have influenced the way in which society obtains data and interacts with them. IBM is pushing forward the concept of an “instrumented, interconnected and intelligent” world. First, the world is instrumented and data can be collected using different tools (e.g., RFIDs and mobile phones) from anywhere and at anytime. This will permit the generation of new knowledge and aid in better decision making in order to optimize the way we live. This IBM initiative can improve the efficiency and productivity of the operations of everything from small companies to large cities. Within the Smarter Planet proposal, are specific sections dedicated to smarter cities, smarter students and smarter energy. I will use the IBM web site as a starting point to explore more on smarter energy. My preliminary research led me to interview a manager at Con Edison to investigate what they are doing in terms of smarter energy. Following this interview, I now understand that the concept of the environment is no longer only related to nature. It is about how the latest technological trends affect our interaction with each other, with the nature, with everything that surrounds us. Rather than having traditional computers in one location, we can use mobile computing devices to interact amongst each other from anywhere, anyplace and at anytime. Data centers house internet, business and telecommunication systems and store information. This idea of “cloud computing” that we use in our everyday life (e.g., Google Gmail and YouTube) without knowing it, facilitates access and storage of data. It can potentially promote energy conservation as long as the cloud is powered using clean energy. This year, universities located in 4 different countries including the United States, India, Senegal, and Belgium are collaborating on the 2011 Global Software Development project. Founded in 2005, this research and educational initiative has aimed towards studying the development of software by distributed teams. Focusing at first on developing specific web applications, the interest moved to the development of mobile applications. In 2010, mobile applications were developed to improve life on campus, and in 2009 a mobile application for first-grade pupils was developed. Taking this effort further, this year, the teams will build mobile solutions that will contribute to smarter cities and smarter energy. They are expected to either release them in an app store or pilot them on the field in the different involved countries. These solutions may be applications (Android, Blackberry or Java ME), mobile web sites, SMS or voice solutions. To overcome the challenge of working in a distributed setting, the IBM Rational Team Concert software (RTC) will be used throughout the development. This tool facilitates team awareness. Though the project developers are well versed in their technical role, my job is to ensure that each team composed of students distributed across different countries, has a good vision of a product. Thus, I have a marketing, product vision and research role to help them focus their ideas. Furthermore, I will provide them guidance and knowledge through my research on smarter cities and energy. My name is Cherelle Palmer and I am a junior biology major. I am a commuter from White Plains, NY. I am heavily involved in various clubs and organizations on campus. My interest in biological research is directly linked to my ultimate goal of becoming a physician. My research project is titled “Acetylcholinesterase isozyme banding may be useful in revealing heart pathology”. I am working on this project under the guidance of Dr. Charlene Hoegler. I was a part of Dr. Hoegler’s research team from fall 2010-spring 2011 during which we participated in pilot studies that will contribute to a larger study. Our current project involves cardiovascular research. Heart failure is the leading cause of death in many developed nations. It is a condition in which the heart can no longer pump the required amount of blood needed to sustain the body. It is a chronic problem that affects millions in the United States. A pilot project comparing the enzyme acetylcholinesterase (AChE) from normal and heart failure specimens was designed to explain the relationship between heart pathology and acetylcholine esterase activity. We use non-denaturing polyacrylamide gel electrophoresis (PAGE) to separate the isoenzyme components. Our present study refines previous work by examining AChE activity of non-denatured protein from normal and heart failure tissues. I am learning an immense amount of analytical techniques through my research including how to evaluate scientific information, extract important ideas, and transfer it into poster format. In addition, I am learning how to evaluate the research of other scientists. Our ultimate goal is to prepare a powerpoint presentation for Dyson Fellows and a poster for presentation at the 2012 Eastern College Science Conference. Creating an independent research project can be extremely daunting. However, I feel that I have been given the tools needed to succeed. There is no greater feeling than generating actual data for your hypothesis. I am tremendously excited to continue my research and ultimately present my findings to the Pace community in spring. Or, you know, something like that. The project I’m currently working on is science fiction and its impact on society, specifically the impact that the Star Trek franchise has been having on our society for nearly fifty years. Some of you may be rolling your eyes at the thought of a science fiction show actually affecting our everyday lives, but if you’re reading this from an iPhone or looking it up on a high resolution screen, your technology has betrayed you. Specifically, I am penning a chapter for a compendium of knowledge regarding Star Trek and its many historical values throughout the decades. My personal chapter of the book focuses on the different aspects in which Star Trek has influenced pioneers in the technological field, and discusses the types of inventions that spawned from the hit series in its multiple forms. All jokes aside, I’ve learned quite a bit about our current technology and the effect that Star Trek had on them. Take the old flip phones for example. They were all the rage when they came out in the 90s. 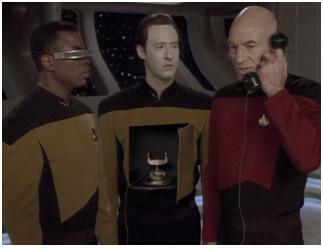 They were just as exciting when they appeared in Star Trek as Starfleet communicators. Nokia was the first company to come out and put the design on the market, and they were indeed modeled after the communicators of old (or the future, depending on which timeline you look at). Also, the U.S.S. 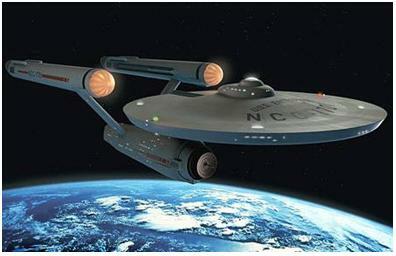 Enterprise had automatic sliding doors before they became a staple at your local supermarket. Also, fans of the various series would remember the ship’s deck had a high-resolution plasma screen display and telecommunication equipment. By opening up their “hailing frequencies” they could use screens to communicate with others miles away. This type of technology is used daily in our time to conduct business meetings across the country and the world. This research is teaching me a thing or two as well, and has taken me to some interesting sources. 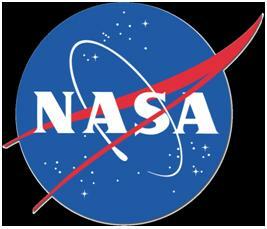 My investigations brought me to NASA’s website, for one. 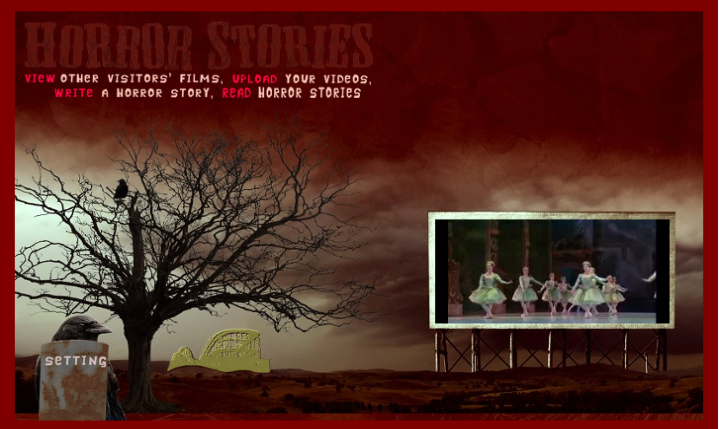 It’s a very informative website, and I recommend it to people who have never been. My research also brought me to the writings of Ray Kurzweil. He tells of the coming “Technological Singularity.” If that doesn’t sound sinister to you, I don’t know what does. But the Singularity is an advanced topic all its own, and I plan on going into more detail in upcoming blogs.